Acting on behalf of local, national and Corporate customers we have acquired over 500,000 sqft in the past 18 months. We bring local market intelligence together with pragmatic and tailored advise in order to obtain best value for our customers in securing premises on optimal terms. 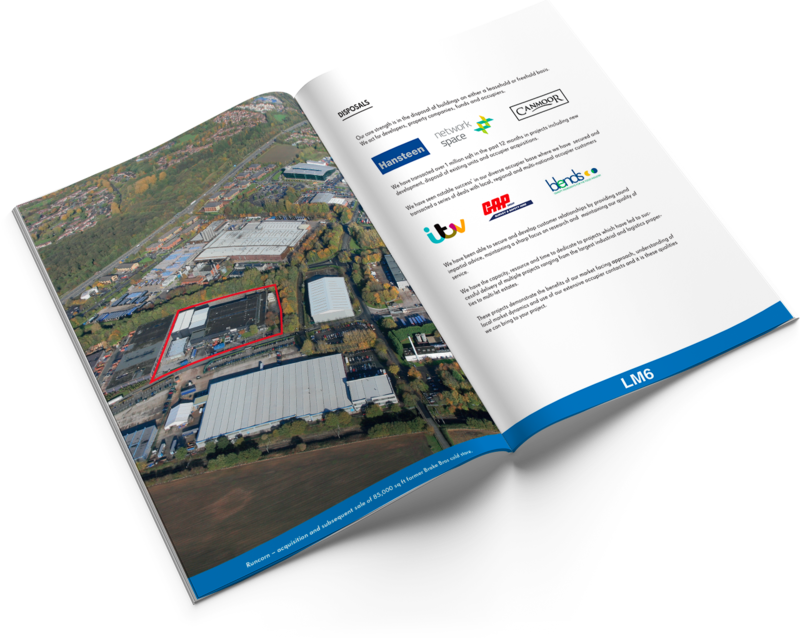 We are best placed to source and secure new premises which will save you time, resource and money in the short and long term. Pre- acquisition advise to understand occupational requirements, timing and performance indicators. Agree detailed heads of terms to mitigate ongoing occupational costs. This will not only include a financial negotiation but also protect your position in terms of alienation, dilapidations and future leasehold liabilities. Ensure that once a transaction is agreed it follows through to completion. In addition, we work closely with our strategic partners to offer a wider client orientated service where we can offer a full range of Consulting Civil and Structural Engineering disciplines and all aspects of Construction Design, Project Management and CDM. There is no one size fits all solution to individual requirements, so please do call to discuss where we can demonstrate how LM6 can be of assistance or contact us.